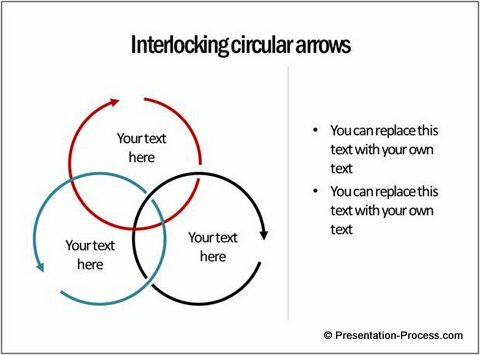 Discover new and interesting ways to use arrows in circular shape for your business presentations. 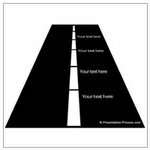 See the concepts you can communicate using this simple diagram. 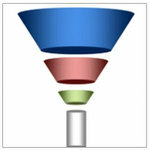 To create this arrow, select the arc tool, and draw an arc while holding the ‘Shift’ button. Move the yellow handles in the arc to the extent you need, and add an arrow tip to one of the ends. 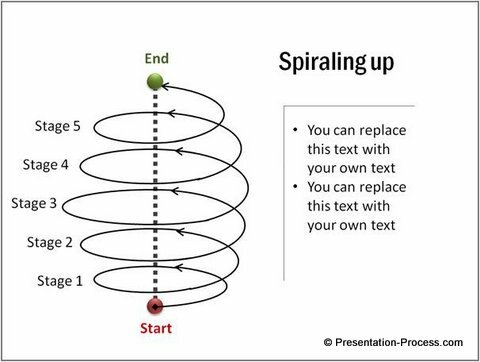 As you are aware, a spiral diagram or spiral model is used to represent ‘Software development process’. 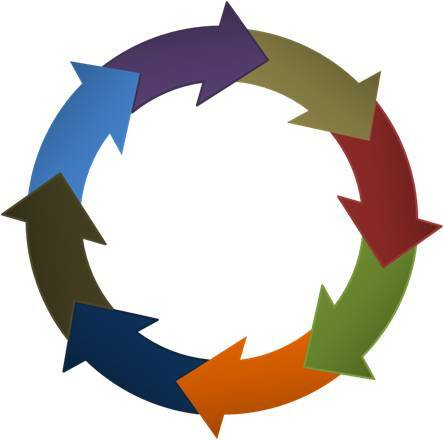 The diagram comes in handy to represent ‘design’ and ‘prototyping’ in stages. 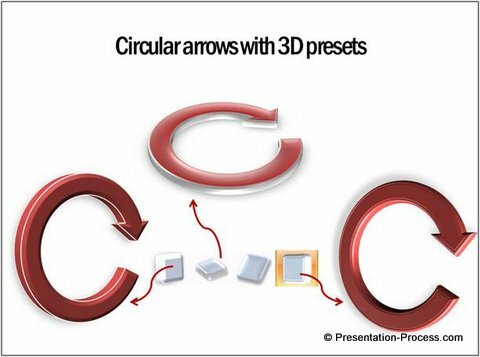 A simple block arrow transforms into a stunning diagram template by using 3D rotation and bevel effects. 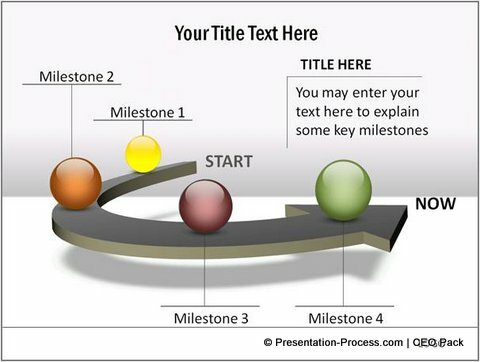 You can use the shape as a base to represent various milestones in a timeline diagram. Glossy balls are used as markers along the timeline. You can learn how to create a glossy ball by from this tutorial. 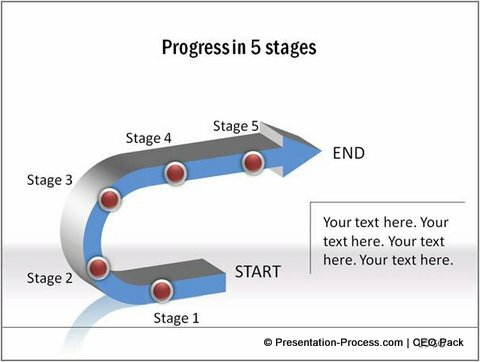 As you can see, a curved arrow is an extremely useful tool to communicate your ideas and concepts in a business presentation. 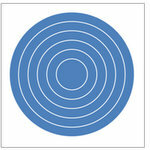 It takes a lot of time, effort, creativity and PowerPoint skills to come up with different variants of a shape. 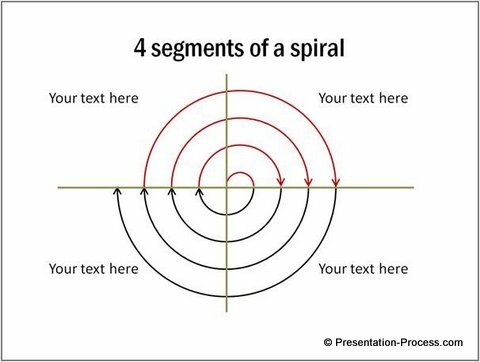 Most business presenters do not have the time to create these variations from the scratch. 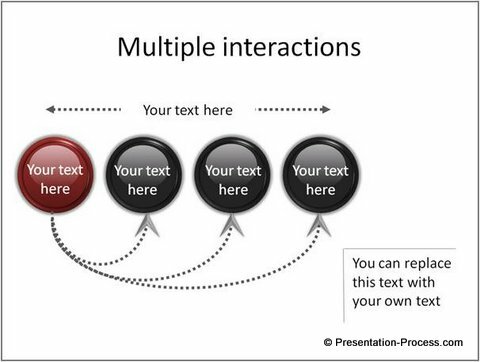 Now, you can copy the diagrams from our templates pack to your slides and replace sample text to create professional presentation in minutes. 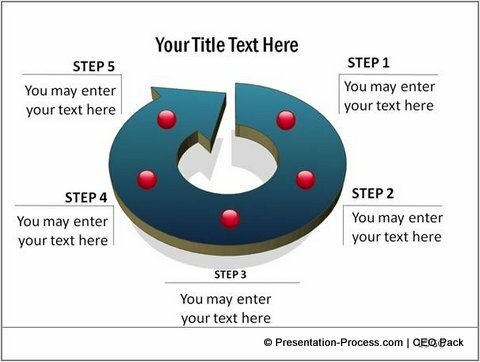 Please browse through our collection of chart templates and see how you can create your business presentations in an efficient and effective way forever.